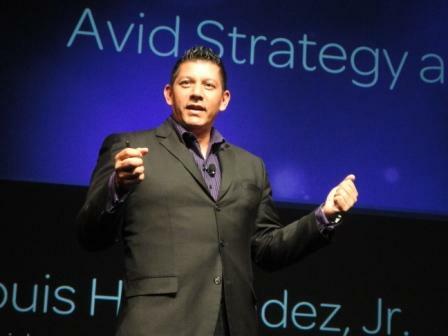 On the eve of the first day of NAB Louis Hernandez, Jr. Chairman, President and CEO Avid released a statement announcing the acquisition of Orad Hi-Tec Systems. The deal, which would merge Orad into Avid’s newly formed Israeli subsidiary, is expected to close by the second quarter of 2015. Orad Hi-Tec Systems is world-leading provider of real-time 3D video graphic solutions including news, channel branding, sports production and enhancement, elections and special events, virtual studios and virtual advertisement. Orad’s compelling solutions streamline production workflow, enhance viewers experience, and improve production value. You have heard many times our vision for helping content creators and media organizations connect with consumers more powerfully, collaboratively, efficiently and profitably. Avid Everywhere is the most comprehensive, open, scalable platform for our industry. We continue to drive our vision forward with innovative solutions and workflows that solve some of your most critical business needs, and I’m excited to share yet another announcement to deliver on our vision. Today, we have signed a definitive agreement to acquire Israel-based Orad Hi-Tec Systems, a leading provider of 3D real-time graphics, video servers, and associated workflow management. More than 600 customers worldwide rely on Orad’s cutting-edge technology to produce graphics, live events and sports broadcasts, and we’re looking forward to expanding our portfolio and distribution network with their key anchor products. As you know, fragmentation has been hurting our industry, leading to burdensome and inefficient experiences for you, our customer. We’ve made progress on solving this inefficiency with our Avid Everywhere vision—effectively reducing fragmentation with the launch of the Avid MediaCentral Platform—but now we’re doing even more. With the impending acquisition of Orad, we are taking another step forward in helping the industry solve its fragmentation challenges, while providing you with a more efficient and comprehensive experience on the MediaCentral Platform. Orad’s state-of-the-art content creation and management solutions further complement our existing product suites on the platform, offering you more choice, and flexibility in your Avid workflow. I encourage you to read our blog post, which includes additional information about the acquisition and FAQs. This is an exciting time for Avid and our entire global customer community. With our well-defined growth strategy and efficient operating model, we believe Avid is well-positioned to quickly integrate this acquisition to provide substantial benefits to all of our customers in the near and long term. Over the next 8-10 weeks, we will be working closely with Orad to complete this transaction, and look forward to sharing much more information about Orad’s solutions as soon as they officially join the Avid family. Until then, if you have any questions, please reach out to your Avid account representative.